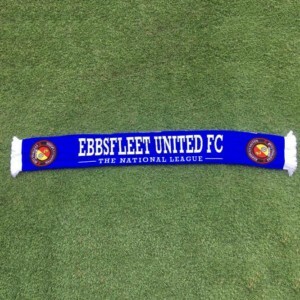 The last time these two clubs were paired in the FA Cup, Fleet came away with a 1-0 win in the replay. This time they didn’t need the replay – though for 87 minutes it looked on the cards… until Moses Ashikodi’s late winner broke the deadlock. Liam Daish made significant changes to his forward line, with Phil Walsh replacing Nathan Elder and Moses Ashikodi, back from World Cup duty, on the bench. 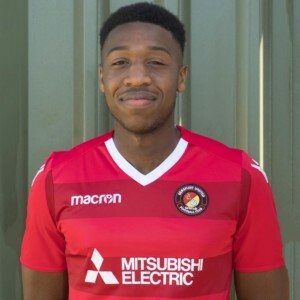 Elsewhere, the ineligible Ashley Carew and Louie Soares made way for Lanre Azeez and Tom Phipp and Fleet sought to stifle the attacking intent Woking showed on their visit to Stonebridge Road earlier this season. Woking enjoyed the first real opportunity on 10 minutes when some lovely attacking play saw Kevin Betsy play in Loick Pires whose back-heel out to Adam Newton was met with a fine curling shot that clipped the top corner of the post. 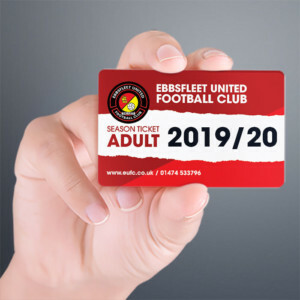 Fleet had their own opportunities, however, in a game that ebbed and flowed and Liam Enver-Marum saw a well-taken goal ruled out for offside while Walsh had a gilt-edged chance with a close-range header that bounced wide of Aaron Howe’s post. For Woking, Betsy remained a constant threat on the flanks and Lee Sawyer had a good run that took him past four defenders before Craig Stone forced him wide and dispossessed him. But neither side really threatened in the final third, though it wasn’t for the lack of effort on the part of the tireless Enver-Marum and Walsh for the Fleet. Buoyed by their first-half performance, the Fleet refused to lie down and accept a draw and kept the pressure on Woking, forcing goalkeeper Howe to punch clear on two occasions. The home side had a spell in the ascendancy on the hour mark, the only time their Mark Ricketts-inspired midfield really stretched the Fleet, but when they grabbed sight of goal they more often than not blazed shots high into the main stand. As the match entered the finishing stages, Walsh headed just over, Azeez was denied by a Mike Cestor tackle and Walsh again with a low shot forced Howe into a low save. Bradley Bubb sped clear on the break for Woking and left two Fleet players on the floor but fired into the side netting, while Betsy snapped a good effort goalwards that Preston Edwards did well to gather. Daish made his substitutions at just the right time, with Azeez and Walsh in particular flat out, whereas Woking seemed to run out of puff in midfield and it was surprising Garry Hill kept his side unchanged. And just as it looked like the game was heading for a replay, Fleet struck. Joe Howe lofted a ball into the box and Jack Parkinson jumped to clear but substitute Nathan Elder intervened and just managed to toe-poke the ball into the path of another substitute, Ashikodi. The Fleet No.10 seemed to take an eternity to pick his spot, but it was just as well he did as there were plenty of Woking bodies in the way and he fired it high into the net to the jubilation of his teammates. TEAM: Edwards, Stone, Howe, Ada, Lorraine, Barrett, Bellamy, Azeez (Greenhalgh 86), Phipp, Walsh (Elder 81), Enver-Marum (Ashikodi 73). Subs not used: Menz, Folkes, Williams, Akinde.